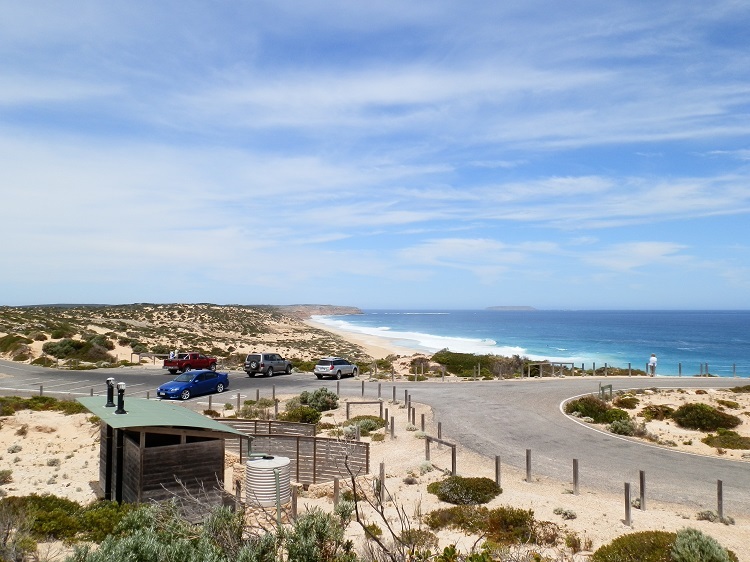 The sand dunes and shipwrecks; a wild and windswept heli-pad; magnificent cliffs; an old wooden railway transport line; exotic lighthouses; historic ruins; and sailor a long way from home aren’t visible from the entrance to Innes National Park. And you can’t see them from the ~30 km of road winding through the park. To discover the history, see the sights and uncover the mysteries you’ve got to go behind the scenes and take one or more of the park’s 7 sensational walks. Although the superb view from almost any vantage point along that road is SO distracting you’ll be tempted to keep driving from lookout to lookout, take the walks for an even better chance of scenic overload! 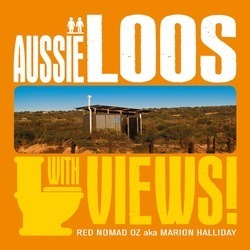 AND as well as the attractions above, there’s wildlife, spring wildflowers, history and some of South Australia’s most spectacular coastal scenery – including Public Loos so scenic some of them are in MY BOOK! SO … take the trails teaser tour TODAY! On a fine day the view over the Stenhouse Bay jetty takes some beating in the scenic stakes. That’s why it’s usually our first stopping off point after entering the park a few kilometres south-west of Marion Bay. From the park entrance it’s only a short drive to the jetty – and the town that the Waratah Gypsum Company built in 1900, although there’s not much of it left. It’s also the trailhead for the Lookout Walk – a 2 km circuit that shows off what IS left and the track passes rusting machinery; interpretive signs explaining the bay’s historic significance; and 9 lookouts showcasing the spectacular views to the islands in Investigator Strait and the Rhino’s Head (see above)! Which has to be one of Australia’s most OBVIOUS place names! But the most memorable thing for me on this walk isn’t the scenery, wildflowers or wildlife. 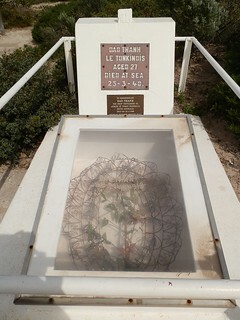 It’s the grave of a sailor buried in this lonely outpost far from home. Rest in peace, Dao Thanh. The track from the car park to the lighthouse on the Cape runs along a ridgetop with massive cliffs on one side and exposed slopes running down to the pounding seas below on the other. I didn’t need the signs warning walkers not to go too close to the edge – it’s a sheer drop off way Way WAY down to the water. No photo is worth taking the fall!! Does that mean I’m not a REAL photographer?? Directly across the strait from the lighthouse are the Althorp Islands, site of several shipwrecks and another lighthouse – a stunning two-lighthouse view! And with a coastline THIS rugged in all directions, the lighthouse/shipwreck thing starts to make sense. If you’ve already walked the previous two trails, the historic township of Inneston (you’ll NEVER guess the name of the bloke who founded it was William Innes! 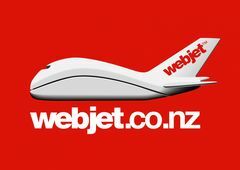 ), provides a welcome break from the relentlessly staggering coastal scenery. Tragically, while the town that once supported the budding gypsum mining industry was at one stage big enough to support its own bakery, neither are operational today. 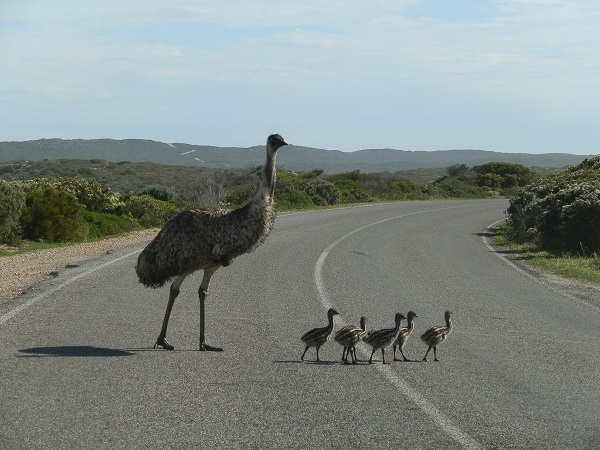 But the walking track shows off the town’s highlights, including restored buildings, Inneston Lake, spectacular spring wildflowers – the freesias are particularly fabulous – and wildlife such as emus, malleefowl and kangaroos. You’ve probably realised by now you won’t be able to complete all these walks in one day. So if you’re looking for a cool place to stay, try Inneston’s heritage accommodation – if you can live without TV or mobile access, that is! Once upon a time, the walk from the trailhead at Inneston – an extension of the historic trail (above) – meant getting to Rhino’s Tavern at Stenhouse Bay 3.8 km away in time for lunch before returning along this old wooden railway line that once connected the two towns. Sadly, the tavern has now closed so carry enough food, water and supplies for a 7.6 km return trek. But it’s an easy walk through the trees and along the embankment upon which the railway line was built, with fragments of the gypsum cargo lying among the leaf litter – and spring orchids – where they fell many years ago. Not much of the railway track remains today, but there’s a sense of the past that lingers along the line where horses once drew heavy loads of gypsum from the mining sites to the Stenhouse Bay jetty. Other than glimpses of the sea near Inneston and Stenhouse Bay, this walk is another opportunity to escape the superb coastal scenery – if you need to!! If you were still wondering about the lighthouse/shipwreck thing first encountered at Cape Spencer, West Cape will leave you in no doubt. The stretch of (almost) deserted beach stretching out below the long, wooden stairway down to the sand many metres below is an impressive sight. But the view’s even better from the top of the Cape, where a trail to the lighthouse goes just a little closer to the cliffs than I’m comfortable with, especially when the wind is strong! Hold on to your children – unless they happen to be particularly noisy, naughty or nasty – it’s sometimes hard to stay fully upright when the wind’s up. There probably won’t be many days when a helicopter could land on the heli-pad next to the unusual lighthouse atop this windswept spot (see first photo above), but it’s nice to know it’s sometimes possible. But the sight (and site!) of one of Australia’s most scenic public loos, with beach views in one direction and the scenic splendour of Pondalowie Bay in the other make braving the wind worthwhile. If trails along the top of high cliffs with no barriers between you and the sea a LONG way below make you nervous, then the Royston Head walk isn’t likely to make you feel any better. But swallow that fear, if you can – this is one of the most spectacular spots in the park. 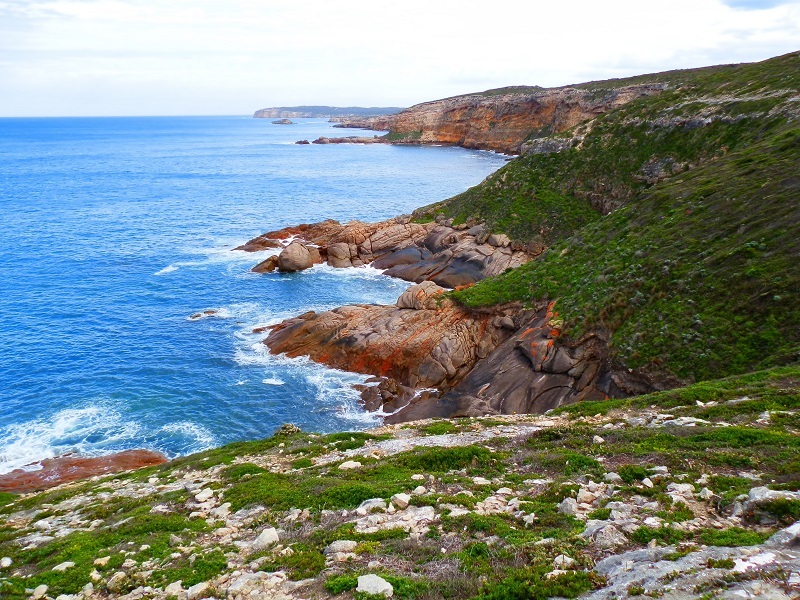 The walk winds up from Dolphin Beach through the dunes before reaching the exposed cliff tops of the Head – an interesting range of habitats, vegetation and wildlife that you’ll promptly forget when faced with the awesome view at the end of the hike! Although it’s part of Innes National Park, Gym Beach isn’t accessible via the main road through the park. The alternate route from Marion Bay gives access – but then there’s no direct road access to the rest of the park without returning to Marion Bay. 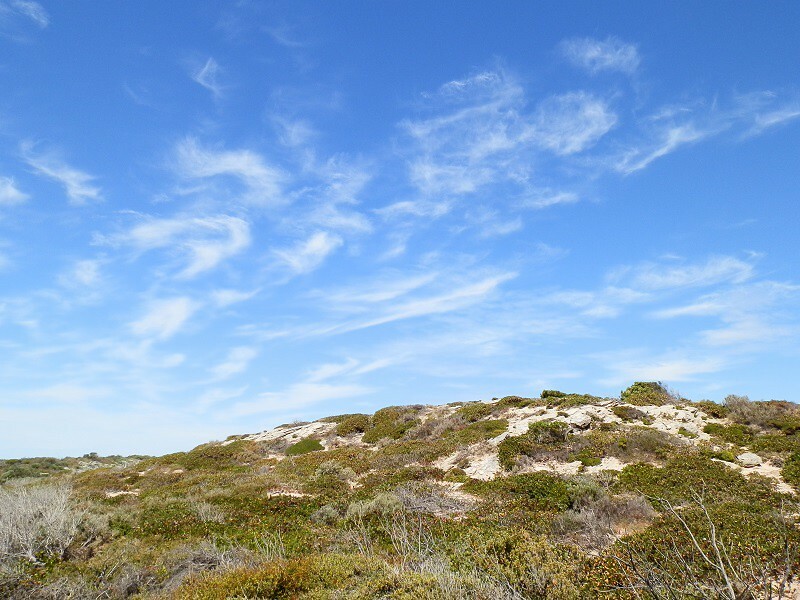 Luckily, the hike starting near Browns Beach along the back of the dunes is an introduction to the varied coastal vegetation habitats as well as providing access to Gym Beach. Although it’s a LONG way to go for a swim! 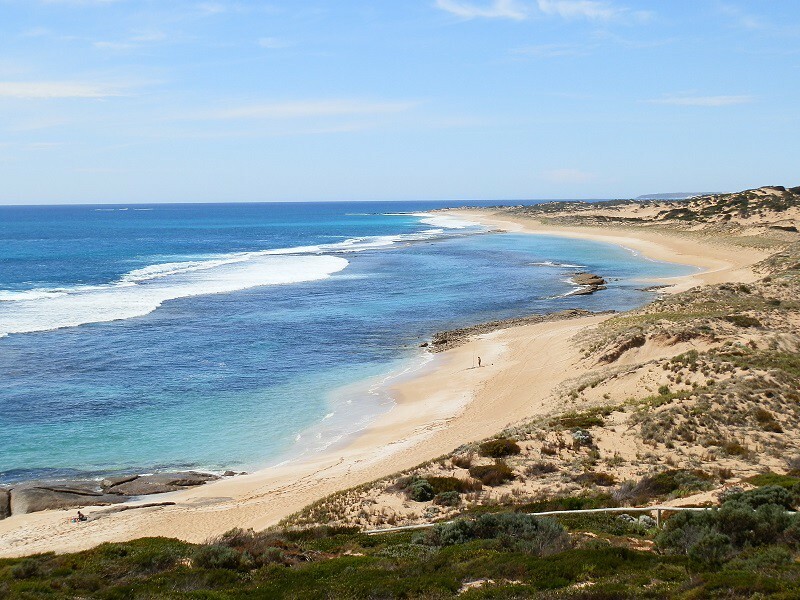 Strangely enough, the walk can be done without laying eyes on either beach – although doing that would deprive you of two of South Australia’s BEST beaches! 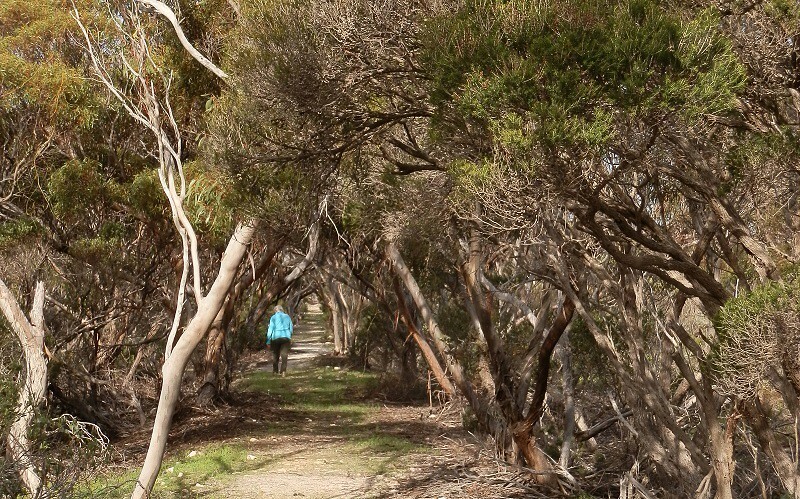 There’s a walk to suit everyone at Innes National Park – and if I can do them all, then so can you! Enjoy!! STAY: The park has several camping areas. Heritage Accommodation is also available at Inneston. Nearby Marion Bay has a range of accommodation, including a caravan park. 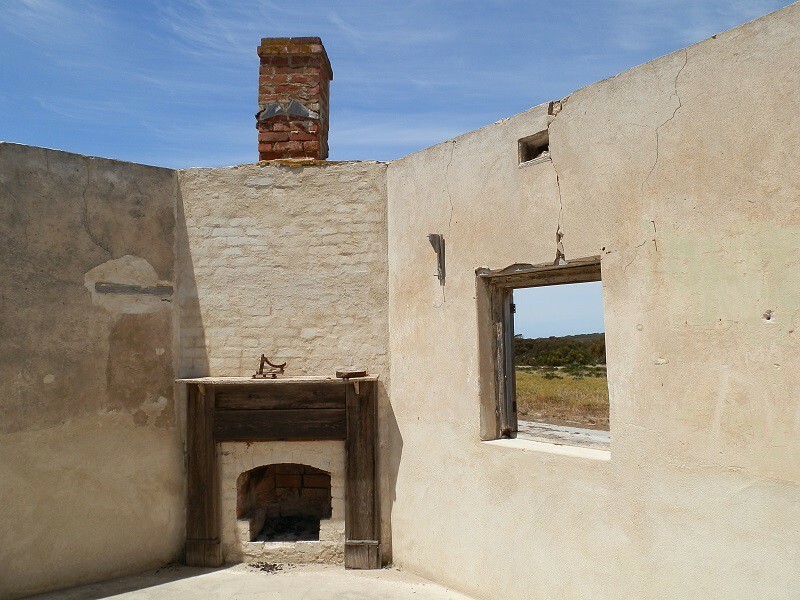 Other Yorke Peninsula Towns also offer accommodation. « Red’s TOP 10 Aussie Pests (and where I found them)! Thank you, Mallee! This is why it’s one of my favourite Australian places! 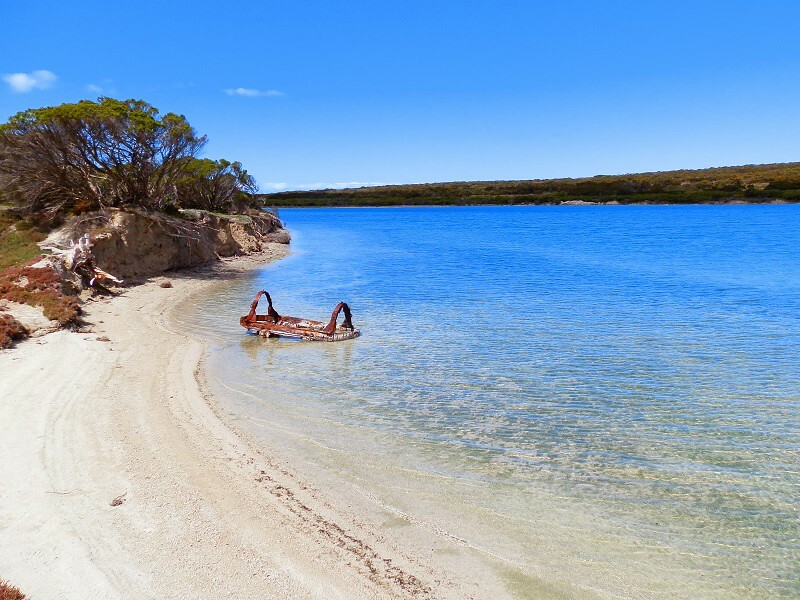 If you’re looking for a family holiday with activities and scenery amidst superb natural attractions, the Yorke Peninsula is an excellent choice, Anne! Hope you make it sometime!! In the meantime, keep watching – I regularly post about it because I’m lucky enough to go there frequently!!! Oh what fabulous walks. I so would love to do them or even just one but sadly The Other Half has given up walking and travelling. Sorry to hear that, Diane. A couple of these walks are quite short and simple – and sometimes the view from the car park is as good as doing the walk. I know reading about these places on my blog isn’t quite the same thing, but I hope it continues to take you to wonderful places! Fabulous shots as always! You live in a gorgeous part of the world. I tell myself every day how LUCKY I am, LadyFi! Have a wonderful day! Royston Head looks so beautiful. I can see I’m going to have to get to Innes National Park one day. HAha, you’ve got a keen eye, River!! The park has so much sensational scenery, wonderful wildlife and amazing accommodation you won’t regret a visit! Wonderfully windswept walks, Red. I enjoyed this immensely! 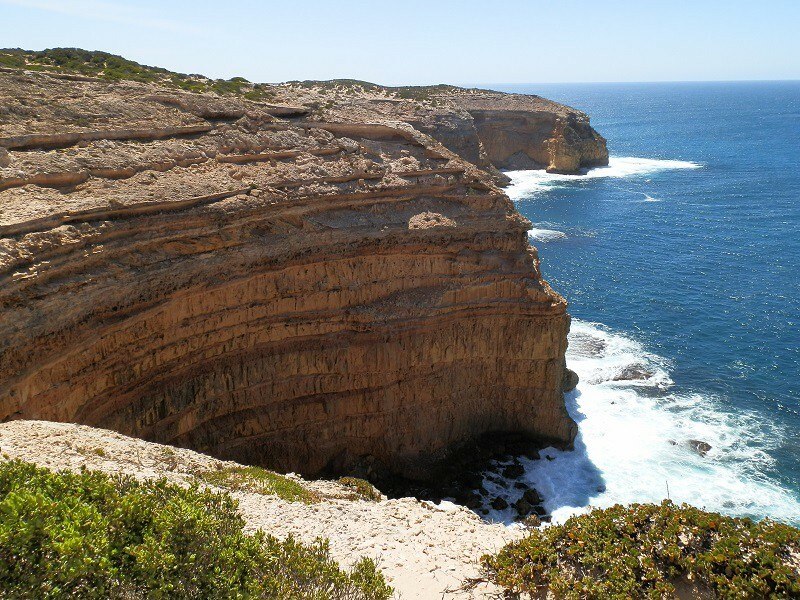 I love sheer coastal cliffs, and these remind me of the beautiful West Cape Howe National Park near our old cottage in Torbay, Western Australia. 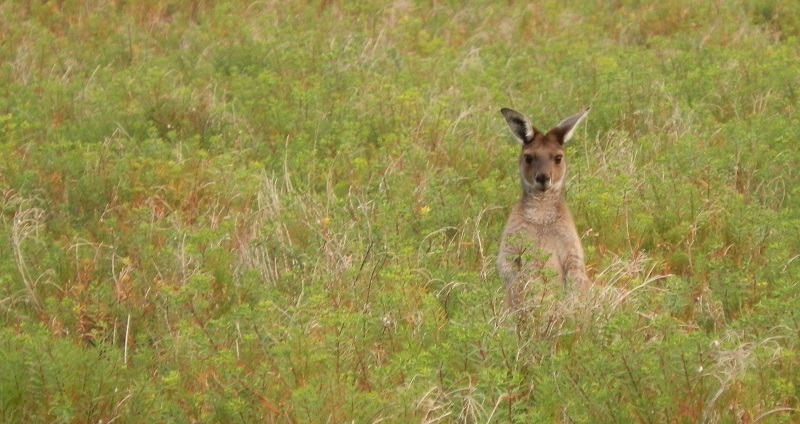 And, that picture of the kangaroo in a sea of green is one the best images of a roo I’ve ever seen. Something about the composition of that shot is truly lovely – well done! Haha, maybe a virtual walk is the best way to take a walk, Vicki!! The Yorke Peninsula is a little bit like a smaller version of parts of the WA coast, although I’m not familiar with the NP you mention (but it’s on the list). And you have the fabulous photo cropping tool to thank for the kanga pic 😀 Hope your Easter is going fabulously!! Happy Easter to you too, Mariusz! Hope your weather improves! Can´t wait to be a “grey Nomad”, pack and visit all those beautiful places! Just be a ‘Red’ nomad like me, Iris! It’s easy to change your hair colour 😀 And start keeping a list – I’ve got a LOT more to show you, my friend! Happy Easter!! There’s not much you can do when the wind is bad, Kathy, except wait for it to let up a bit! Anywhere you missed last time around means an incentive to go back, right?!?! Happy Easter!! I’m probably more like you, Grace! I mean, where are the bakeries along the Bibbulmun Track?!?!?! We’ve done all these walks – but over many visits and many years. Hope your Easter is awesome!! Amazing, the sea water is crystal clear and the sand is so white! I suppose there are some famous white beaches in Australia, such as White Heaven Beach, but they are just part of Aussie beautiful beaches. I’m happy to explore breathtaking sights which are far away from me. …And if I have a chance to visit West Cape Lighthouse someday, I’ll make it sure to be careful of winds. It’s windy in Tokyo this week and people are worried that the winds blow away cherry blossoms blooming fully now. But the wind is a breeze when compared with the strong winds which block up helicopters!! We have one of the longest coastlines of any country in the world, Kozue – so there are a LOT of beautiful beaches, and many of them are deserted! I hope there’s still some cherry blossom left – it would be a shame for it all to go too quickly! Have a lovely weekend, my friend! Although not really here, but I like that Australia has so many miles and miles of beautiful deserted beaches. You cleverly captured some rusting steel to reinforce it is a salt lake. Hahaha, is that what I did, Andrew?? I thought I was just being arty-farty!!! I’m continually amazed at the deserted beach thing – anywhere else and these gorgeous seaside spots would be JUMPING!! Happy Easter, my friend! I love a national park that has a ghost town, a lone grave and sheer cliffs with strong winds for naughty children. The Thomson-Pfitzner Plaster Trail sounds especially interesting. So much to do down the Yorke and that’s only the tip! I was confronted with the option of heading down this way once, but we took the inland route. You’ve inspired me to head back. The whole Yorke Peninsula is one of my favourite OZ places, Andy! It’s like a microcosm of many of the coastal attractions around the country. And if I’ve inspired you to visit one day, then my work is done. Just tell them I sent you, hahaha!!! Thank you Jo-Anne! I hope you get to see them for yourself someday! Happy Easter! Just glorious, Red! I hope you don’t mind that I’ve pinned a few of your images, and shared this post on my FB wall too. Happy Easter. HHHMMMmmm… do I mind free publicity and that someone likes my post enough to share it? That’s a no-brainer, Lizzy! Thanx so much and Happy Easter to you too! Looking forward to having a catch-up-on-my-blog-reading weekend!! I’m not a big fan of wind either, Christie – so it’s just as well the windy walk is only a short one!!! 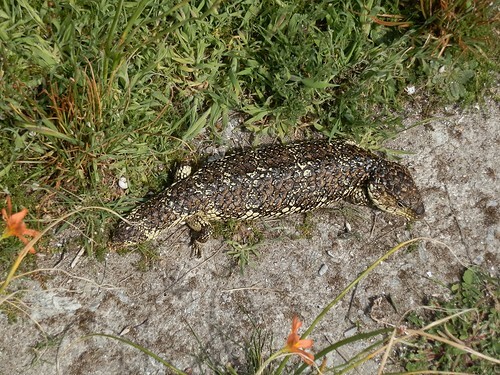 Although it’s not windy ALL the time 😀 It’s VERY easy to step on sleepy lizards, and sadly, they’re often run over because they come out onto the road where it’s warm. People also see the scales and mistake them for snakes! This looks like a terrific park where one could spend many days walking and exploring. Your photos are terrific, as usual. Did you go for a swim at that beach? It doesn’t exactly look crowded. I’m sure the beach will be crowded over Easter, TFG – but I’ve never seen many people there!! At least there’s a vantage point for shark-spotting – it’s a LONG way down from the car park!! I didn’t go swimming, but the water was so clear it was very tempting! It’s also a very popular fishing spot for mullet and salmon! Thanx for your kind comment! !